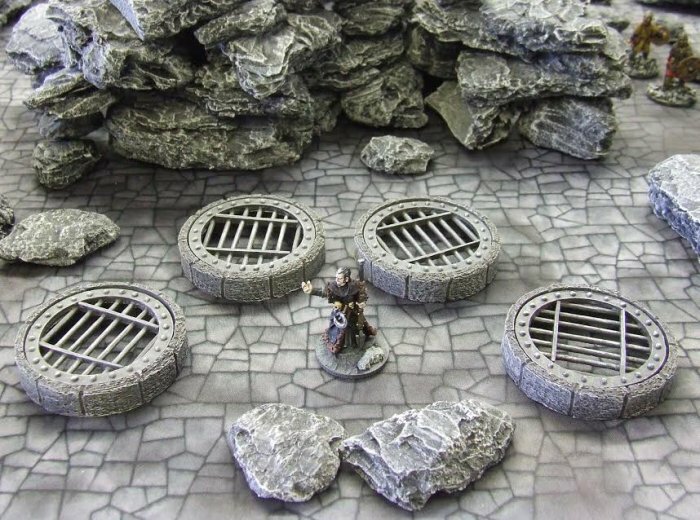 These highly detailed and scale appropriate Dungeon Cappings will enhance any gaming scenario - and are ideal for indicating where underground dungeon systems are positioned. The pack of 4 cappings come in various shades of grey highlighting. The iron grating can be removed if required thus leaving the rock surround in place.